Welcome to Dallas and the 30th edition of the International Conference for High Performance Computing, Networking, Storage, and Analysis! Our first conference (1988 in Orlando) was small and easy to explore. But 30 years later, you might need some insider tips from experienced attendees to plan your time at SC. The SC Conference extends a warm, enthusiastic welcome to all first-time attendees and returning attendees. There will be two Navigating SC18 sessions specifically designed to help you organize your conference experience. 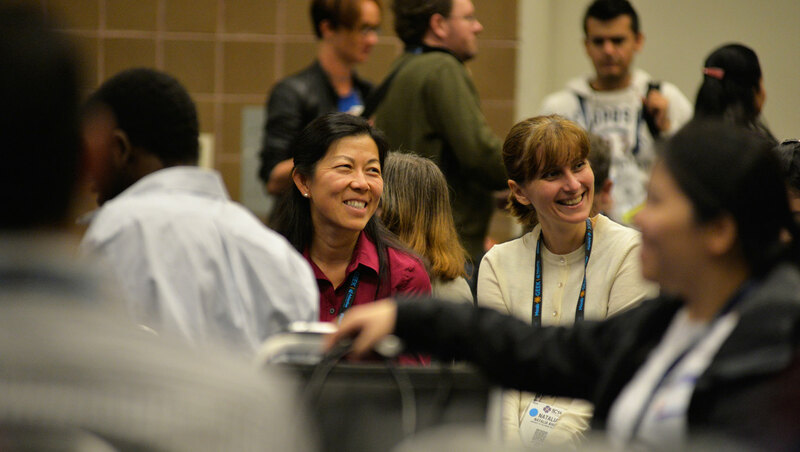 The SC Conference Series has made an ongoing commitment to addressing inclusivity and diversity at the conference and within the HPC community. Making all attendees feel welcome is important to SC. Learn more about Our Commitment to You and our Code of Conduct. The SC Conference has two main components: the Technical Program and the Exhibits. Other notable features include Students@SC activities for undergraduate and graduate students, and SCinet, the conference’s dedicated high-capacity network infrastructure. To round out your attendee experience we invite you to attend our receptions and participate in 30 Years of SC anniversary activities. 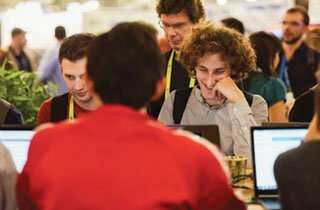 The Technical Program is the heart of the conference, where the world’s leading researchers share results and applications, and debate the future of high performance computing, networking, storage, and analysis. Technical Program badges are required to attend most of these sessions. Tutorials and Workshops require separate registrations. Attendees with any badge can attend the HPC Inspires Plenary, Birds of a Feather sessions, the Awards session, and Exhibitor Forum sessions. Don’t miss your first opportunity to preview the Exhibits. The Exhibits Hall opens Monday evening with the Grand Opening Gala Reception. Then for three full days (Tuesday–Thursday), the Exhibits Hall is crowded with thousands of international attendees visiting hundreds of booths that present the latest technologies and discoveries by vendors and research organizations around the world. Entrance to the Grand Opening Gala Reception and the Exhibits Hall requires a Technical Program, Exhibits Hall Only, or Exhibitor badge. Through professional development programs, opportunities to learn from mentors, and engagement with technical sessions, SC supports a strong and diverse HPC student community at both the undergraduate and graduate levels. Most of the Students@SC activities are for students who have been selected for participation prior to the conference. Student/Post-Doc Job Fair The job fair is open to any student or post-doc who registers for it. 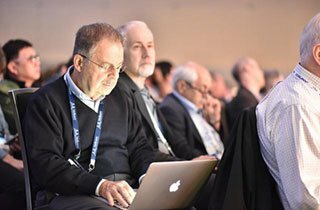 The SC Conference operates a commodity network for attendees and an experimental network that showcases the most advanced and sophisticated technology currently available. During the conference, the SCinet experimental network delivers greater bandwidth than any other facility in the world and more capacity than many cities and countries. 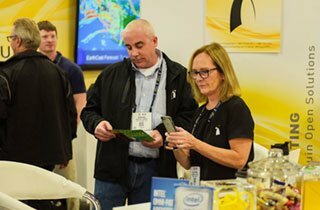 SCinet supports high-speed network connections linking the convention center to outside networks and provides wired and wireless connections for SC attendees and exhibitors. SC presents six days of scientific and engineering achievements from some of the world’s leading researchers, engineers, developers, and companies. View the complete SC Schedule. Food, refreshments, and entertainment for all registered exhibitors. Take a break and get something to eat before completing your booth setup. Admission requires an Exhibitor badge, an event ticket, and government-issued ID. This is your first opportunity to see the world’s latest HPC systems and related networking, storage, analysis, research, and services. It’s also your best opportunity of the year to get up close and personal with the industry’s most advanced innovations and the people behind them. This event is open to attendees with Technical Program, Exhibitor, or Students@SC badges. As the Posters are revealed, mingle with the authors and share a relaxed evening with colleagues and friends. For Technical Program attendees only. The annual reunion of the people who create, operate, and use the world’s highest-performance computing systems. Drink a toast to 30 more years of the SC Conference Series! Admission requires a Technical Program badge, an event ticket, and government-issued ID. Event tickets for guests without a Technical Program badge can be purchased at the SC store. SC18 is planning a series of commemorations to celebrate three decades of amazing achievements since the first conference in 1988: a history scavenger hunt, exhibitor awards, a 30th anniversary video (available on a souvenir flash drive to all attendees), a story booth, a special panel, invited talks, a dedicated digital archive, and a Lobby Museum. Start planning now to optimize your days and nights at the conference. Use the SC Schedule to create your own personalized agenda. This schedule is the most comprehensive source of information about conference programs, exhibits, and events. The schedule features filters for event types and tags, day-specific links, a presenter index, organization index, detailed search capability, and a Happening Now area for current and near-future sessions. You can flag sessions, then add your entire flagged agenda to your personal calendar at one time. Pick up your badge at the registration desk and wear it at all times while in the convention center. You must have a government-issued ID in order to complete the registration process and receive your badge. Workshops and Tutorials attendees should pick up their badges on the day before their sessions to avoid long registration lines and the risk of being late to their first sessions. Complete registration information can be found here. Provided to Technical Program attendees and available for download by all attendees, the Schedule at a Glance lists all sessions and activities for the week. The complete SC Schedule is available online. A list of all exhibitors and their booth locations is provided to Technical Program participants when they pick up their badge. Copies of this publication are also available at the SC Information Booths. Exhibitor names and locations are also available online. SC offers a broad range of resources for parents and children of all ages. All children (of any age) must be registered at Assisted Registration located in the registration area on Level 2, Lobby D. Access policies vary according to the age of the child and the particular conference venue involved. During this time, registered attendees can invite family members to join them for a walk through the Exhibits Hall. View complete information on the Family Resources page. All attendee questions and comments are welcome at the SC Information Booths. SC18 SSID, the general, unencrypted wireless access for most attendees and exhibitors. The eduroam SSID, an encrypted wireless connection that is authenticated with pre-configured users’ credentials from their participating institutions. If you do not have an eduroam account set up before you arrive at the conference, or if your institution does not participate in eduroam, you will not be able to join the eduroam server. The Conference Store sells SC18 clothing and souvenirs. Located in the Kay Bailey Hutchison Convention Center, this booth is staffed by local experts who can help with all your Dallas questions and plans. They offer information on attractions, dining, transportation options, maps, brochures, and a myriad of other helpful hints for navigating the city. Located at the Exhibitor Approved Contractor (EAC) desk across from Registration on Level 2, Lobby D.
The quiet room is a physical space where conversation and interaction are not allowed, where attendees can go for quiet, prayer, meditation, or similar activities. The SC18 security office is located on Level 2, Room A201. SC provides shuttle bus service between hotels and the Kay Bailey Hutchison Convention Center. View shuttle schedule and routes here. Don’t walk alone at night. Use the buddy system. Stay on well-lit or major streets at night. Carry a phone in case of emergencies and have at least one other attendee’s contact information. Do not wear your conference badge outside the convention center. It can attract attention from scammers and criminals. Ask hotel staff if certain areas are safe before going out. Connect with colleagues, discuss the Program, get the latest news from exhibitors, post videos and images about your experience, and share tips about Dallas activities!